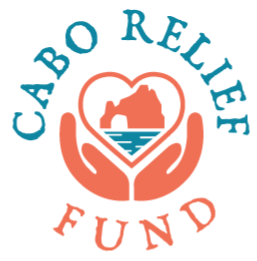 The Cabo Relief Fund was set up exclusively to help victims of hurricane Odile, primarily the local residents in Cabo whose homes were destroyed. The need is immediate and will likely be ongoing for many citizens in Cabo. 100% of any funds raised will go toward the cause and zero will go toward any other purpose. The funds that are donated are being funneled through Holding Hands Charities, a US 501 (c) 3 not-for-profit organization. The 'BVI Open' is an All Billfish tournament. The format is considered to be a "Team Tournament" meaning that 1-4 anglers fish by IGFA rules and the winners are the top three teams with the most points (earliest caught). Anglers and crew choose their strategy to win (three places are awarded). Boy Scouts of America receives 20% of all tournament pots. The Billfish Foundation (TBF) was founded in 1986 with a mission of conserving billfish worldwide by the late Winthrop P. Rockefeller along with Dr. Eric Prince and a group of fifty founding members. TBF’s keystone program, the traditional tagging program, was begun in 1990. Today, it has grown to be the largest international billfish tagging program in the world. TBF’s initial focus was on research and educational programs. In 1990, TBF’s focus was expanded to include advocacy for responsible fisheries management, recognizing that influencing decision makers with sound science was a crucial step in successful billfish conservation. The Billfish Foundation is a not-for-profit 501(c)(3) organization.